1009 Sherbrooke Dr, Homewood, AL.| MLS# 843257 | Richard Jacks UABLIVING.com 205-910-2297 | Birmingham AL Real Estate | Contact us to request more information about our Homes for Sale in the Birmingham AL area. 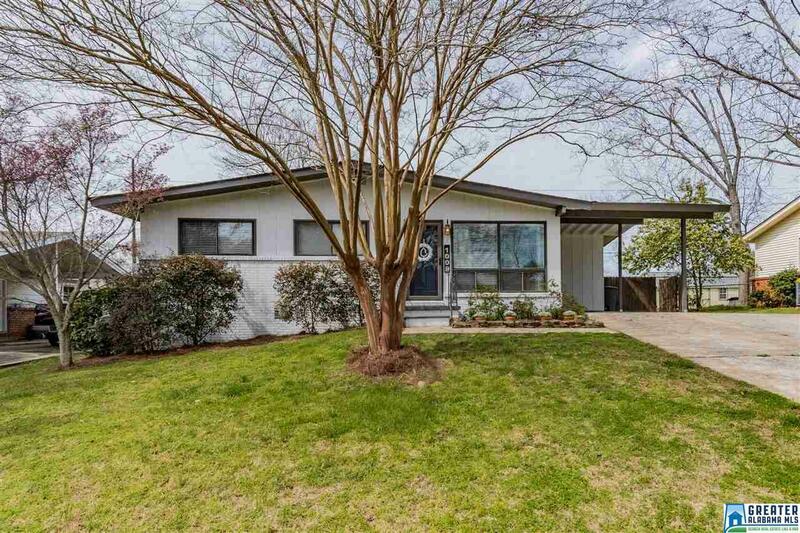 This highly attractive one level home in Homewood is well-maintained and move-in ready! Located in the heart of coveted West Homewood, this house is beautiful with many updates, including newly painted exterior, hardwood floors throughout, updated kitchen with brand new countertops and backsplash, breakfast bar, large dining area, bonus den/family room with wood-burning fireplace and wet bar perfect for entertaining, vaulted ceiling and beams, and lots of windows throughout! Sliding glass doors take you from the den/family room to a wood back deck outside in a fantastic fenced-in backyard with gate access to green space beyond the lot line. This house also features a spacious main level carport, and the house is within minutes of the beautiful, newly renovated Patriot Park! This house is must-see and perfectly located in the growing area of Homewood! Driving Directions: Oxmoor Road To Oak Grove, Right On Knoll Crest, Left On Hillmoor, Right On Sherbrooke, House On The Left.